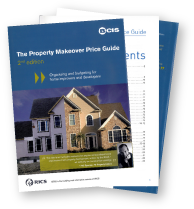 The Building Cost Information Service (BCIS) of the Royal Institution of Chartered Surveyors (RICS) produces a range of detailed guidance on the cost of rebuilding houses and flats. The Association of British Insurers (ABI) has commissioned BCIS to provide general guidance to help you check the adequacy of your sum insured. This site provides general guidance on the rebuilding cost of houses and some types of flats to the general public. If you require the rebuilding cost for commercial purposes, either as a surveyor, part of the insurance industry or to manage a group of properties then you should be using one of the BCIS subscription services. You can find details of services for the insurance industry at http://www.bcis.co.uk/risksolutions and services for the surveying profession at http://www.bcis.co.uk/rebuilding. You need to register before using this calculator. As a part of the registration process you must accept the terms and conditions of use. 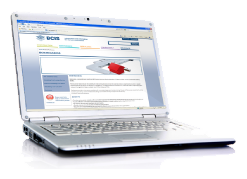 Once registered, you will be able to use the calculator four times in any 12 month period. Please refer to the notes on this site, which provide important information on your rebuilding cost. Use it to check that your buildings insurance amount still covers the rebuild cost. Get a rough idea of your home’s rebuild cost so you don’t end up paying any shortfall. You only need to insure your home for its rebuild cost. Enter your property information and hit calculate. important considerations and advice when employing a contractor or builder. We offer a range of risk solutions specifically designed for the insurance industry. Compiled over the last 30 years. Developed and maintained by in house construction industry experts. Always up to date and in line with building regulations. Consists of 2.5 million rebuilding cost values. In comma delimited format ready to import into insurer databases.